In 2009, someone asked me to name one item on my bucket list and I was quick to mention Ngamba Island but this was not because I knew what exactly takes place there but because the name sounded good to me at the time. Fast forward, on May 26, I was among the group of over 20 journalists invited to spend a weekend at the Ngamba conservation camp. As left Wildlife Education Centre for Ngamba on a boat ride for the two hour journey, little did I envisage that it was only 23 kilometres and in my home district, Mukono. 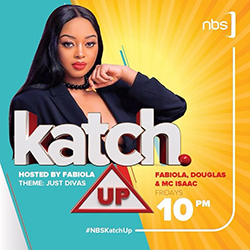 By 1pm,we had docked at Ngamba Island ready for the adventure but things were not as easy as expected. Each one of us was ushered in by being given a tent to put ( I had never done it before) but I had to do it myself. I was also handed a 500mm by 1800mm mattress (12 mm think) and a sleeping bag as part of my items to be used in my new house. Meanwhile, we were introduced to Byron Ssemmambo, a tour guide who would lead us around the sanctuary and its souroundings. “Welcome to Ngamba Island chimpanzee sanctuary,”Ssemmambo welcomed his guests. He would later take the visitors through the details of the place which has come to be known as a home to 49 chimpanzees. 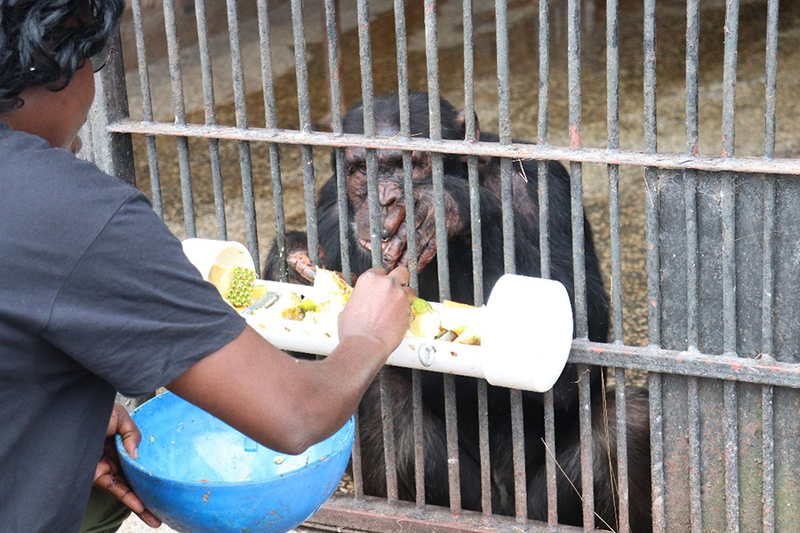 Ngamba Island Chimpanzee Sanctuary was established in October 1998 to care for orphaned chimpanzees that have been rescued by the Uganda Wildlife Authority. According to guides at the facility located in Lake Victoria, only three have their mothers as the rest were rescued after their mothers had been killed by poachers in various parts of the country. Some of the precautions while at the island is always to move to an assembly point whenever one hears a whistle as it is a sign of danger. “When you realize that you are under attack from a chimpanzee, the safest way is running into the lake as the animals cant dare come for you because they don’t know how to swim,” said the tour guide. At the island,I learnt that chimpanzees are fed four times a day on fruits and greens but not meat for fear of turning against humans. Each chimp is also fed on one boiled egg per week to supplement on proteins. I attended the feeding sessions for the chimps and it was an amazing experience watching the animals within a few metres of their raised walkway which provided and opportunity for photo moments. The youngest chimp is two years whereas the oldest are between 38 and 40 years of age. The chimps, just like humans have their own politics in which the leader is chosen among the many. According to the tour guides at Ngamba, the leader among chimps is one with the biggest number of followers and just like humans, those against a certain leader will never bow for him. 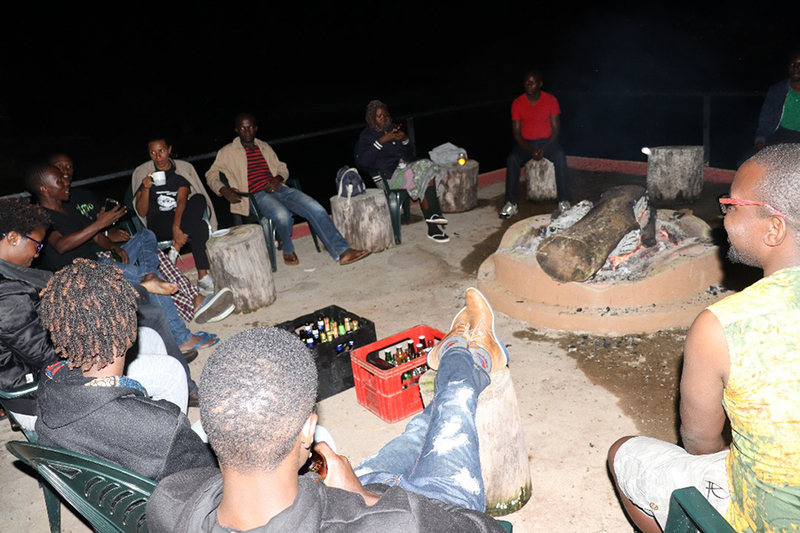 We were also treated to a camp fire as we enjoyed the cool night breeze of Lake Victoria at the Ngamba chimp sanctuary . Ngamba is neighbours other island communities including Myende and Kimi among others that have directly and indirectly been impacted on by the presence of a chimp sanctuary. According to Lilly Ajarova,the Ngamba Island chimpanzee sanctuary Executive Director, they realised a need to impact directly to the nearby communities as one of the ways to give back to them but also encourage them to conserve the environment and avoid harming the animals. 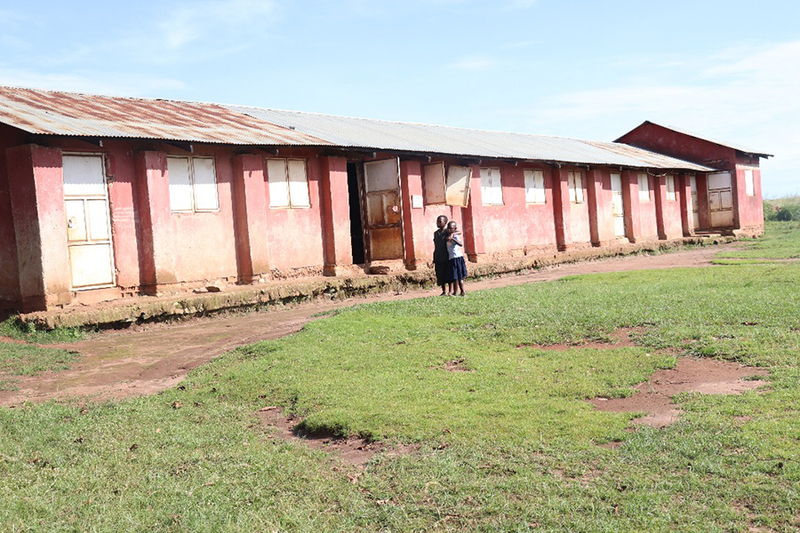 “We support them in education, health and other programs .For example we started Myende Primary School by constructing classroom blocks from baby to P.7 to provide shelter to the kids who were studying under trees,”Ajarova says. She adds that the school currently has over 200 pupils. Management for Ngamba chimp sanctuary also provided a health facility, and public toilet to Myende island community. She says they started a program named sustainable living on Lake Victoria covering public health, sanitation, clean water provision and economic enterprises. Ajalova however notes that the challenge with the projects is that they are not sustainable because they fishermen keep on moving from island to another. The communities also have a day off to visit the Ngamba Island chimpanzee sanctuary on Easter, Christmas and New years’ day free of charge to have a look at what takes place. The sanctuary is scheduled to celebrate 20 years of existence and conservation of the endangered species. However, according to Ajarova, despite being rated as a model sanctuary in Africa and achieving a lot, there are still a number of challenges including deforestation, illegal wildlife activity which water down their achievements. “One hundred years ago, there were a million chimps in the world but they are now 200,000.If we don’t do anything to conserve, in the next 15 to 20 years we will not have any chimpanzees left in the world,”Ajarova notes. Ngamba Island chimpanzee sanctuary; a journey of a million miles.